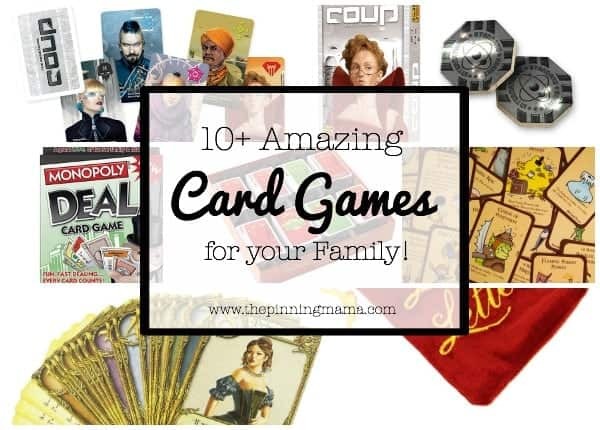 The most amazing card games for families. I love nothing more than sitting down around the table with my friends and family for a friendly game. I prefer a card game to any other type of game because they are easy to socialize over! It is a great way to make it easy for your kids to talk to you or just have a fun night with friends. 1. 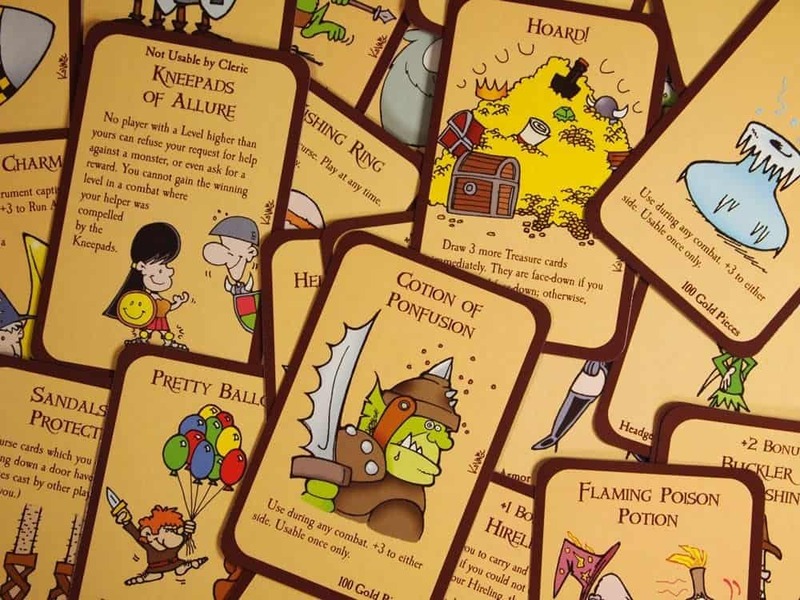 You may not have heard of this one but Munchkin is an adorable and fun game. The description says backstab your friends and steal their stuff, and since that is not quite something we can do in real life, it is nice to have a little fun and get competitive in this fun family card game! 2. Apples to Apples is such a fun game! It has been around for awhile now and is super family friendly and always good for a fun time and lots and lots of laughter! This game is one of my favorites and my kids love it too, but my super competitive husband on the other hand always gets frustrated that it is more subjective. I just think he needs to up his strategy a bit! 3. This Monopoly Deal game is one of the only games that my husband will actually sit down and play! He is not into card games but we have a great time playing this one together! All the fun of Monopoly but much less of a time commitment to play. 4. This game is fast paced and seriously fun. The rules change quickly with each new card that is played and trying to keep up is fun and entertaining! 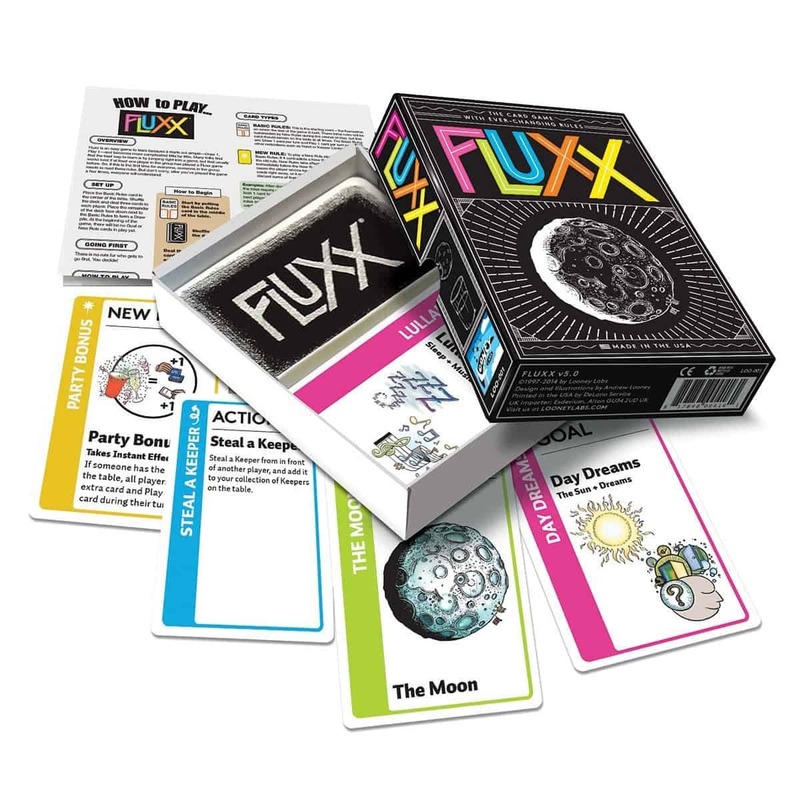 Fluxx is a must try for families with older kids that love fast paced games with lots of twists and turns! 5. My family has been playing this game for years and years! It takes a long time but it is easy to put down and come back to which is nice! 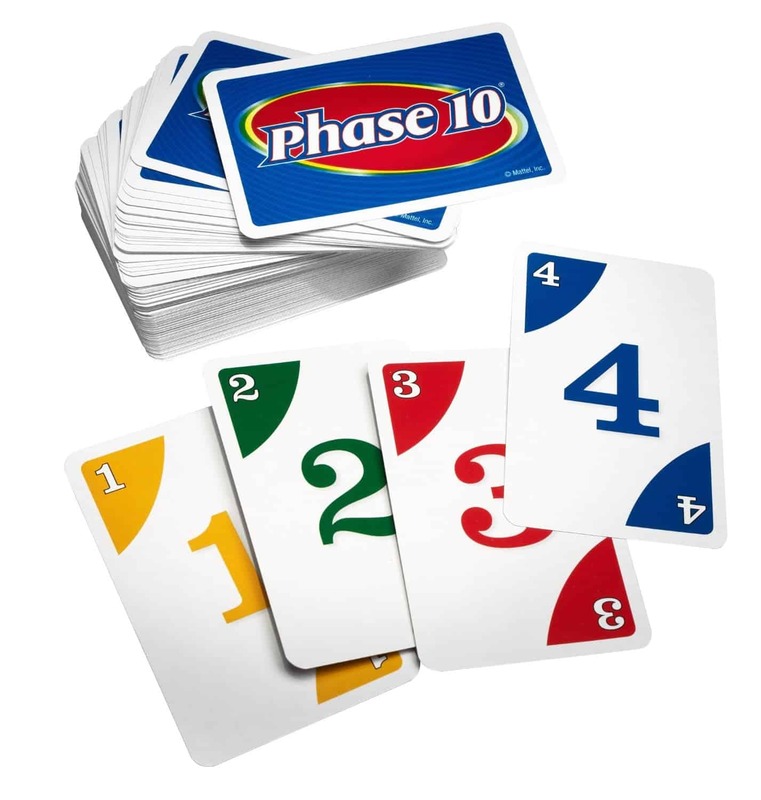 Phase 10 is definitely a favorite! It is also great for families of all sizes since you can have as few as two, but as many as 6 players in this game! Just make sure to have enough time to play because depending on how the game goes, it can get long! 6. 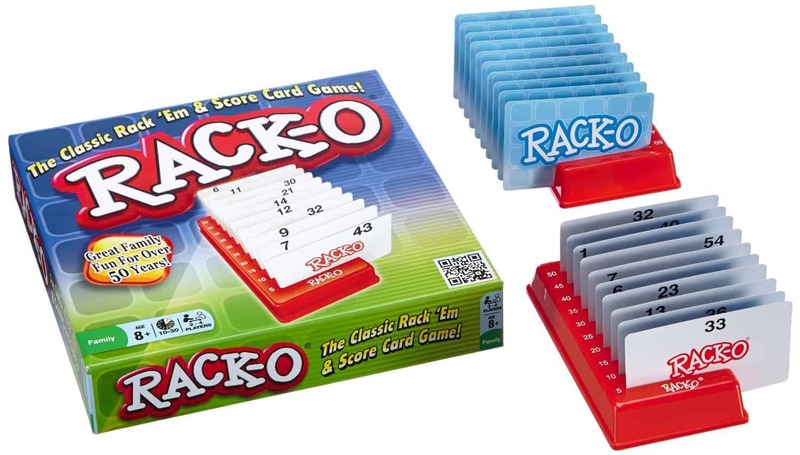 Rack-O is an old game but it is still so much fun! It is a great game to play while having a cup of coffee with a friend and chatting, and is perfect for keeping your kids entertained while you can have a relaxed chat with them. 7. Bang! 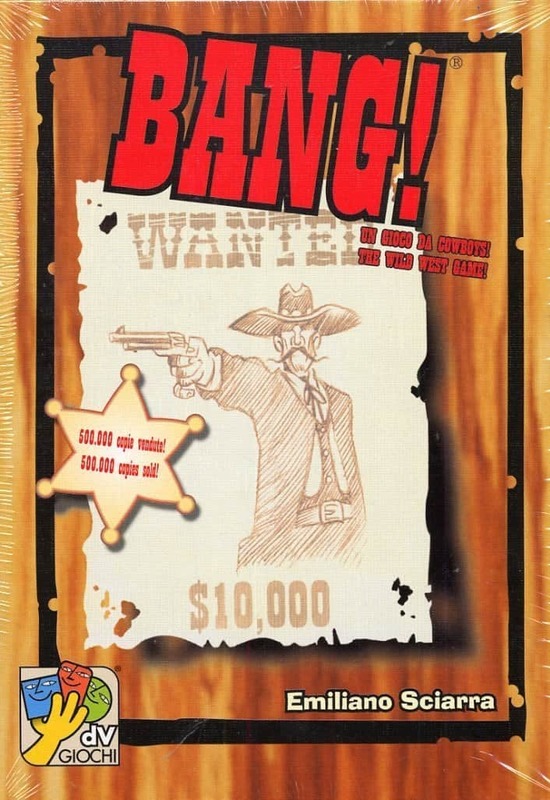 This is an easy and fun game that is set in the wild west with sheriffs and outlaws. 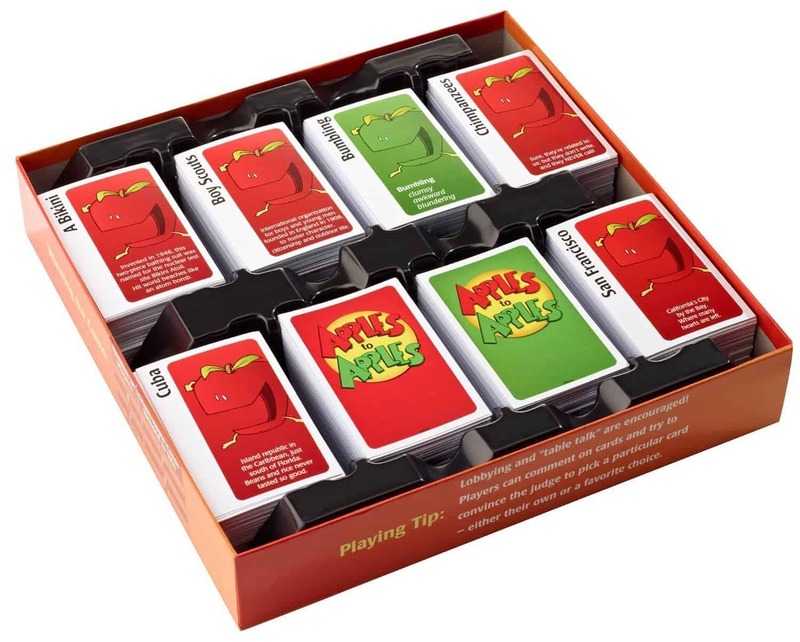 Kids will love the imaginative fun of this card game. 8. 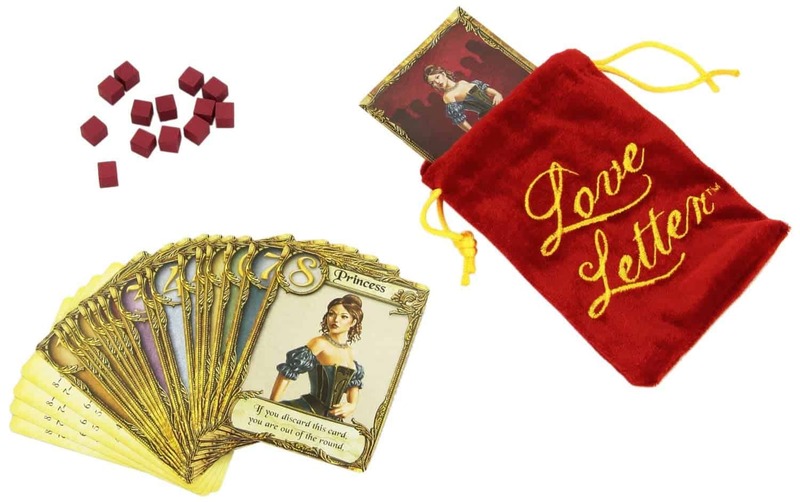 I am a total sucker for anything historical, these cards are not only pretty to look at but they take us back to the time before phones and emails and let us send love letters and pretend to be in a royal court…which to me is seriously fun! Love letter is right up my alley and perfect for a girls night! 9. Skip-bo is another family favorite around my house. It is easy enough for the kids to play but also a great game for catching up with a friend! We have the best memories of playing this game with my husband’s grandmother. 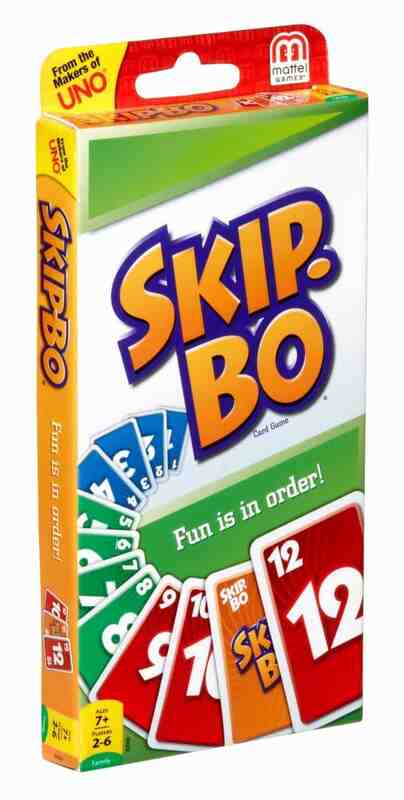 It was her favorite game and when I was marrying into the family, I of course had to play Skip-bo with Grandma Nancy. I should have let her win though, because no one told me she holds a grudge about it ha! Good thing she won 2 out of 3 so we could visit again! We spanned 4 generations playing this game together as a family. 10. 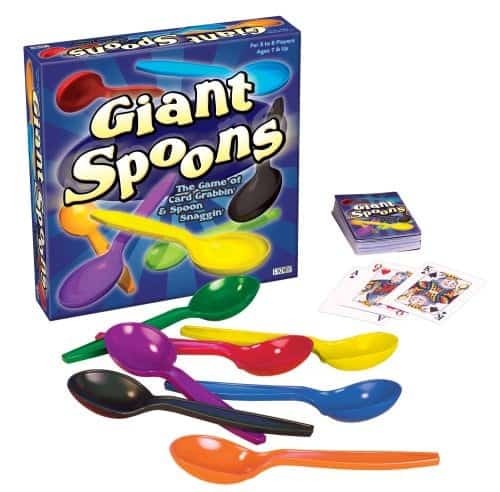 Giant Spoons is a game that I remember playing as a kid and absolutely loving. We had a great time playing this game with friends when we lived in South Carolina. We could start the game with the kids, and once they went to bed we cranked it up a notch into super competitive mode where the spoon grabbing often got a wee bit out of control. 11. Coup is a game that you definitely want to play in a quiet room where you can think! Everyone is trying to fool everyone else and you have to keep track of what is happening at all times! Great for the brain! I hope you have some amazing times with your family and friends with some of these card games! What games do you play with your friends now?? 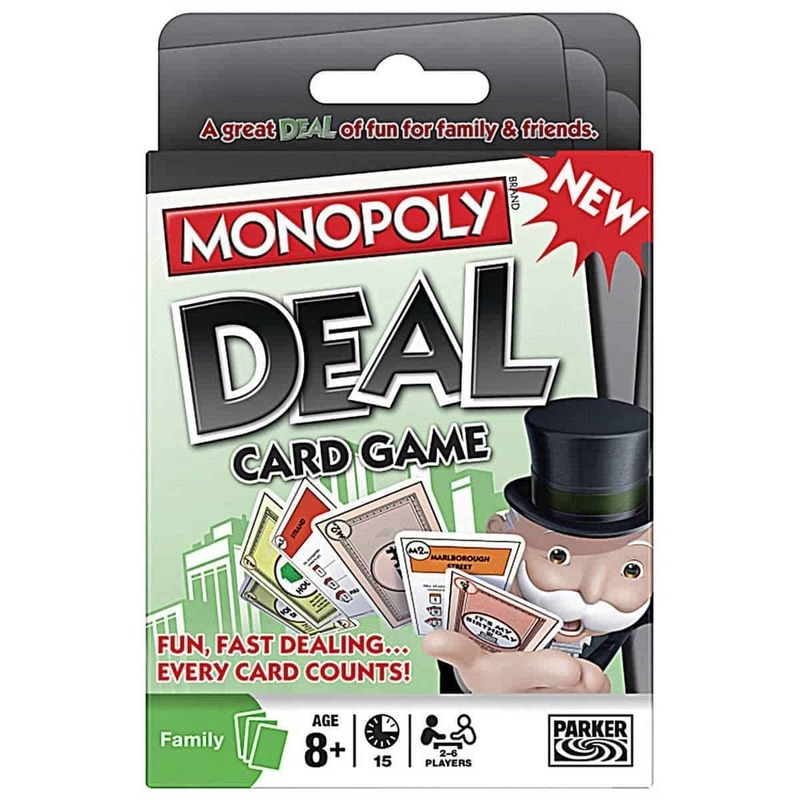 Played the Monopoly card game for the first time this summer… the person who introduced me to it called it “monodeal” SO MUCH FUN! That is so great!! We have so much fun playing cards together. My kids are still pretty little but they are starting to catch on pretty well to some games! Loved seeing Rack-o on this list. We used to have Super Rack-o (cards on both sides of the racks, blue cards had to all be on one side and red cards all on the other) and I recently ran across it at my parents house and pulled it out of the cabinet to introduce to some new players! It is a fun one right?! My kids are pretty young and already love to play card games! !